You’ve filed your immigration case… but nothing has happened. Is there a problem? Did the case fall through the cracks? 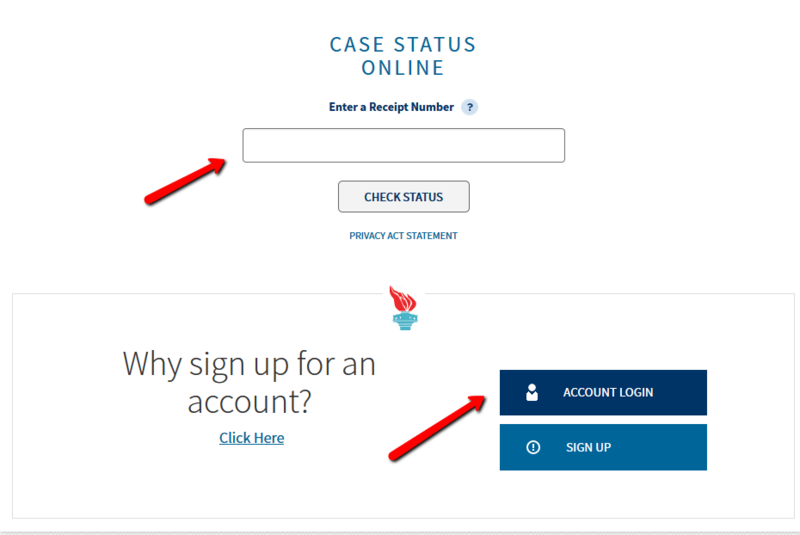 It is easy (and free) to check the status of your USCIS case online. You’ll see there are two ways to check on a case. First, you can enter the receipt number directly on this screen. Alternatively, you can set up a free account. We recommend this second option, so that you can later check status without having to locate your receipt number. Even better, the system will send automatic updates to your designated email account when there is any action in your case. Where do I find my USCIS receipt number? The receipt notice for your application or petition will appear on any official USCIS notice that you received in the case. It is typically located in the upper left-hand corner of the notice. Remember that in some cases you will have filed more than one application, and each one will have been assigned a unique receipt number. In marriage-based adjustment cases, for example, you will have a separate number for the I-130, I-485, I-765 and I-131. If you set up a free account on the USCIS system you can enter all of these numbers once., then avoid having to re-enter them. Can I check on a USCIS case status by phone? Sure – call 1-800-375-5283. Just get comfortable, since this will take far longer than checking online. Photo credit: Stuart Miles (http://www.freedigitalphotos.net). I found my number and I tried to do this but nothing happened. It said that my case was not found. It has been almost a year since I did my biometrics for my I-765 and nothing. What can it mean? Michelle: That’s concerning if the receipt number isn’t showing up in the system. If you want to pursue this yourself the next step I would suggest is the Ombudsman’s office. Otherwise you may want to consult with an attorney to assess your options. If you’d like to book a consultation with one of our attorneys you can do so here. previous post: I came to the U.S. on ESTA/VWP – can I adjust status? next post: How do I check USCIS processing times?